Home / Index category / FRENCH LEAGUE CUP: Nice beat Aix! FRENCH LEAGUE CUP: Nice beat Aix! After very solid start of the season despite defeat in Montpellier, Aix lost chance to fight for the trophy of League Cup in France at the start. The team of Jerome Fernandez lost against Nice 35:34. CHAMPIONS TROPHY: “Partybreakers” from Saint Raphael to play against Montpellier for the trophy! 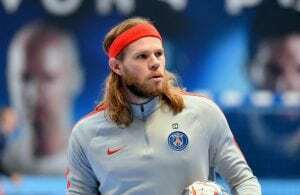 FRANCE: PSG Handball survive Saint Raphael to stay in race – Hansen scores the last one!